I didn’t know quite to expect when I visited Milan for the first time, but I do know that I left with a whole new appreciation for this beautiful northern Italian city. I learned a lot during my stay in Milan, but these facts surprised me and I bet they’ll surprise you too. 1. Canals – Everyone knows that Venice is famous for its canals, but what many people don’t realize is that it isn’t the only city with canals in Italy. Many towns once had robust canal networks and while most of those watery highways are long gone, vestiges still remain. The navigli, as they are called in Milan, date back to the 12th century and were used for irrigation and later shipping. While many were filled in to complete the city’s road network, you can still find a few in town. One of the best known is the Naviglio Grande. Houses, cafes and restaurants line the canal, a popular spot for young Milanese on the weekends. Standing on the banks it’s hard to believe that you’re still in Milan, the usually somewhat uptight city truly reveals its fun side on the canals. 2. 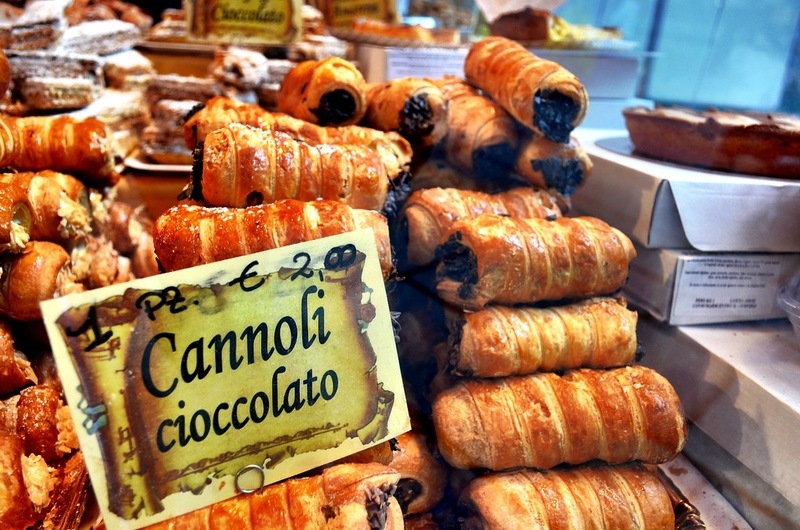 Food habits – I am ready to admit that these habits may not be an ingrained part of Milanese culture, but it was what I experienced while visiting. The thing that perplexed me most of all were opening hours for restaurants. Maybe I’ve spent too much time in Spain where eating seems to continue all night, but when I tried to find a decent restaurant at 9:00 PM I was met with closed doors and empty dining rooms. I’m not opposed to eating early, actually I prefer it, but our schedule didn’t allow for that in Milan and instead of countless, delicious Northern Italian meals my culinary experience was very hit and miss. 3. Great home base – I love using cities as a launching pad to explore nearby areas of interest and Milan was a perfect spot for this meandering exploration. After exploring the city itself for a couple of days, we took several day trips to Venice, Bologna and Florence. There are many more other interesting and most likely beautiful towns within easy train range and it would take weeks to see them all. Milan was also a great home base because of all the lodging options in town. A city of style and some opulence, hotels in every price range exist as well as number of unconventional options. We worked with the short-term vacation rental company HomeAway and stayed in a cute little apartment in the middle of town. Nearby were stores and cafes and the metro was an easy five minute walk away. Milan is a great destination in its own right, but I was thrilled with using it as a nexus point for our exploration of Northern Italy. 4. 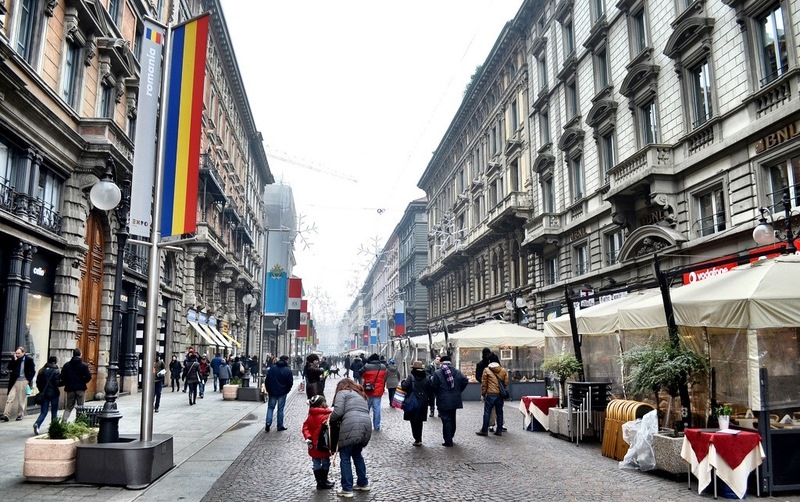 Not just business and fashion – Milan is famous around the world as the unofficial center of the fashion world. Walking around town it’s hard not to feel vestmentally challenged as young and fashionable Milanese pull off the latest fashion trends with style and ease. Milan is so much more than high fashion though and I think far too many judge the city before experiencing it. One thing that perhaps surprised me the most was how normal most of the city seems. Once you leave the central area, those fashionistas start to disappear and in their place emerge corner coffee shops and beautiful homes. I walked through one such neighborhood early on a Saturday morning, while most of the city was still fast asleep. Almost everything was closed except for a small cafe, home to little more than a bar and some chairs. I ordered an espresso in the way I’d seen a hundred Milanese do and just stood there, observing the clientele and watching as the city slowly, very slowly, woke up. That’s when I fully began to enjoy the city for what it is and to appreciate its spirit and soul; a special combination of qualities that make it unique but simultaneously familiar and a delight to visit. Wow I must that I really enjoyed this post! From the mouth watering photo of the chocolate cannolis to the breath taking one of the boats and houses. I want to book my flight to Milan right now because you’ve completely convinced me to visit! Keep it up with the great post, we love reading about your travels! This May I was in Milan as I was last March – I took in the Last Supper tour and it was truly amazing. Leonardo Da Vinci I have embraced a lot in my life and to actually stand there before this amazing piece is truly spinechilling. The walking tour is a must and it takes you for a tour into the mind of this genius. I also stayed out of Milan, more towards Centrale, and it was nice to walk the streets and immerse yourself in the day to day feel of the city! I will return to Milan as I felt very comfortabel there and navigated it very well. I did not get to the Navigli unfortunately but will next time – I also now know how to send a parcel home of my great purchases that I did not want to drag around for the next 6 weeks! The restaurant thing is perhaps because of Milan’s aperitivo culture. Whereas in other Italian cities, aperitivo is a cocktail with a small buffet of tiny nibbles like olives and salad, in Milan it’s an art form. Pizza, pasta, meat, potatoes,dessert…it’s definitely a full meal. I lived there for a year and don’t really know anyone who would go for a restaurant meal at night, most people just went for an 5-10EUR aperitivo instead! Glad you liked Milan! The navigli are one of the best places to chill out. I’ve always said Milan is a city to live in, rather than visit, but I always love to hear about people who liked visiting too!